When the Dark Portal became active years ago the armies of the Horde and the Alliance rose to meet the war in Outland head on. Their plans however were halted almost immediately when they both came through the portal only to find themselves face to face with a demonic army waiting for them. The army was tremendous, but the Horde and the Alliance could only stare at the one one leading this charge against them. Before them stood a creature that was a sight that made even the strongest in their ranks tremble. 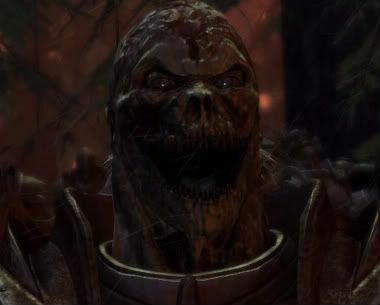 A demon of over fifteen feet stood smiling at them with an unnaturally large mouth with twisted fangs within. Its hands had been bent into talons and its feet were those of a crocodile. Three reptilian toes that were all sharp as knives. The demons eyes leaked fire along with its nose, and the creature wore an armor set that glowed the colors of hell. Then men could only step back as the demon lord gazed at them. When the Horde and the Alliance's first wave into Outland laid dead, the demon lords name was revealed who had halted their first advance into Outland. Its name was Aro'l. Warlocks say his name means "perfected" in a form of demonic language that only few know that have been able to study deep enough into ancient texts from the War of the Ancients. It was a personal creation of Sargeras that was designed to not fail where Archimonde and Kil'Jaeden had. Although the demon was trapped by Nixxiom in the Tear of Elune (thus making it the Shard of Aro'l), Aro'l was recently able to escape his binding fully and has returned to the world bent on getting revenge against Nixxiom for imprisoning him. Aro'l releases many demons from the Shard daily to act as his army, bringing a threat to not just the Eternal, but to all of Azeroth as well. Aro'l has arrived and he beckons you to challenge him. Will you rise to face a demon lord who with a wave of his hand could pull the blood from your body? Will you become "Eternal?" 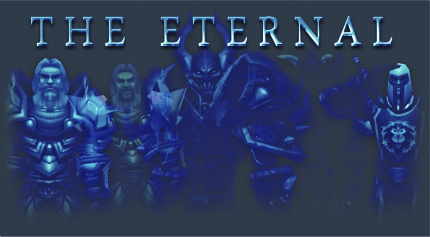 Introducing the Eternal's first Guild-Wide RP event! -The first group are Nixxiom and his Wardens who will deal with tracking down and defeating Aro'l personally. The Warden's are an elite group of warriors in the Eternal given some of Nixxiom's personal power and knowledge to help them survive as best as possible against the demon lord. -The second group of warriors will be those lead by Sinclair, who will engage Aro'l's army of demons directly and halt their advance farther into the world. Already the horns of war have been sounded and Sinclair is gathering the army of the Eternal to meet the threat of Aro'l while Nixxiom gathers those ready to become Warden's. Something about that last picture makes me laugh hysterically. It's like, "LOL HAI GUYZ!" 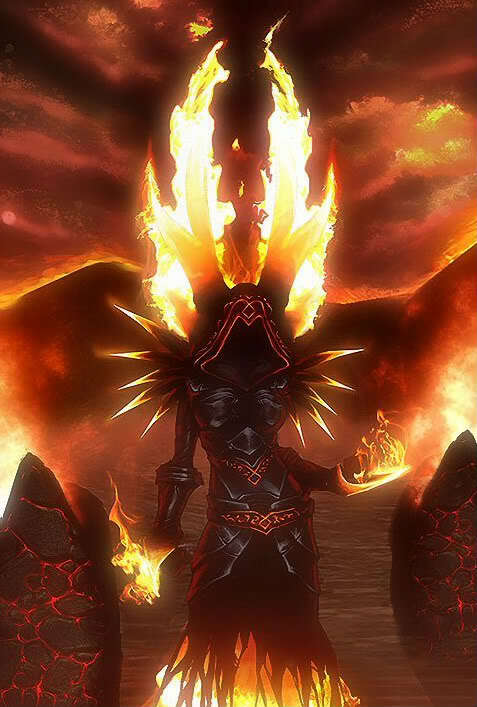 I was admittedly at first a little unhappy with it lore-wise, but hey, who's to say Sargeras didn't create such a demon, eh? After all, he's made countless others. Regardless though, intriguing concept. I'm interested to see how it plays out.